Hawthorn Lodge Bed and Breakfast is a luxurious 4* Fáilte Ireland approved family run home in the beautiful Mountshannon Lough Derg region in County Clare. Pet friendly, all the spacious bedrooms are ensuite and have orthopedic bed, electric blanket, a TV, tea and coffee making facilities, hair dryer, iron, ironing board, luggage racks and WiFi Internet access. There is also a guest lounge where guests can enjoy cable TV and can avail of clothes drying facilities. A private car park and large garden are at hand for your convenience while mornings begin with either a tasty continental or full Irish breakfast with home baking and coeliacs and vegetarians catered for also. The lodge is also very child friendly with high chairs, cots and babysitting services ready when you need them. For an alternative mode of transport to get you around the picturesque local area, bike hire is also available locally. 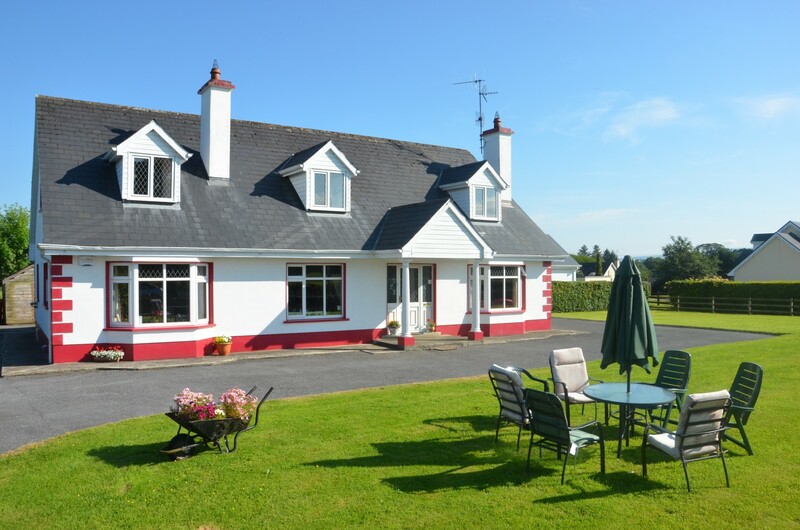 Hawthorn Lodge B&B in the Lough Derg Lakelands is an ideal base for sight seeing the renowned Cliffs of Moher and the Burren Area of West Clare, Tipperary & Galway. There are Two Golf courses within 20 minutes drive. Fish, Sail or Cruise on Lough Derg – the Pleasure Lake. (Drying & storage facilities at Hawthorn Lodge). If you’re feeling energetic there are lots of the East Clare Way Walking routes on our doorstep and brochures provided free for your pleasure. Holy Island Heritage site is only 10 minutes by boat located at the picturesque harbour. Bird Watching is a must in Mountshannon Harbour at the viewing point set up especially for the White Tailed Sea Eagles that are now our Local residents – great fun and thrills for all the family. 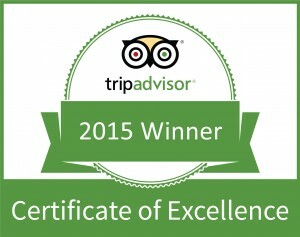 Great Restaurants & lively pubs await you. So treat your family or come with your friends, there’s something for everyone at Hawthorn Lodge, Mountshannon. 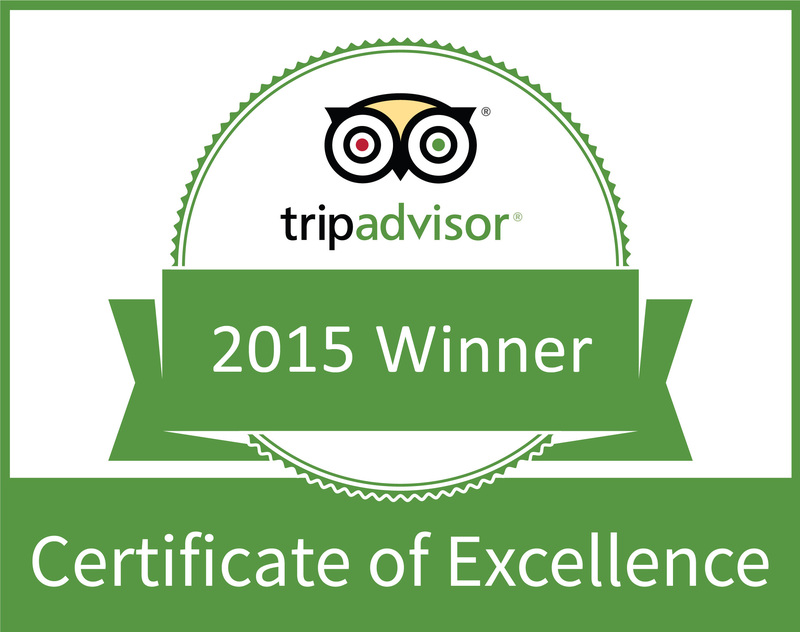 In 2015 Hawthorn Lodge B&B was awarded Tripadvisor Certificate of Excellence.